WELCOME When we first conceived of adding another festival to the California Film Institute, we talked about how important documentaries are, particularly in these chaotic times, in a wall of never-ending sound bites. We also talked about the fact that are so many extraordinary documentaries and that even with the abundance of opportunities to screen them at the Rafael and at the Mill Valley Film Festival, we still don’t have enough programming space to showcase them all. I think the success of the first two years of DocLands proves that we were correct in gauging our audiences’ appetites for documentary filmmaking. One only has to look at last year’s theatrical releases Won’t You Be My Neighbor, Free Solo, and RBG. They were some of independent films’ biggest hits during the year. However, in addition to these great films, there are dozens more that may not get the attention they deserve, and that is one of the key benefits to show a film within a festival setting. Every day, we are bombarded with “breaking news” stories. However important these stories may be to our lives, they often feel like they are given the same weight and are shoehorned into a never-ending news cycle. The films of DocLands allow us to experience important stories in depth. They also enlighten and entertain us. In these ways, DocLands is not just a special collection of films but a way of seeing and hearing the world that can give us a deeper perspective on critical issues and a greater appreciation for the “wonderland” that still surrounds us. DocLands touches us at our core. 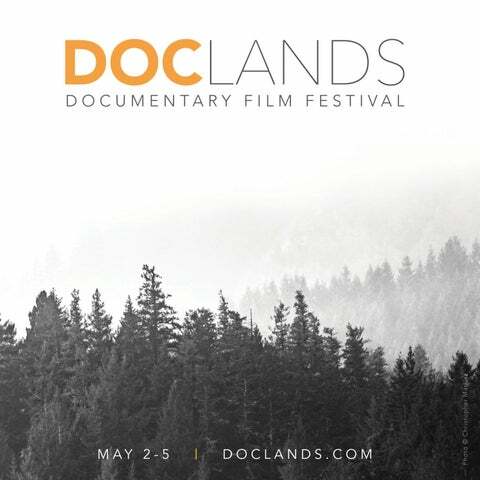 And finally, I want to issue a huge thank you to all those who have helped bring DocLands to its third year: our amazing staff, led by our director of programming, Joni Cooper; our committed volunteer board of directors; our generous donors and sponsors; and, of course, our brilliant filmmakers—who continue to inspire us through the art of cinema. Save time and skip Will Call! Select the Print-at-Home option when purchasing tickets online. Present printed tickets at the theater or show them on your mobile device. prior to showtime for shows that no longer have advance tickets for sale. The Rush line forms outside each venue one hour before showtime. Rush tickets are sold on a first-come, first-served basis approximately 15 minutes prior to showtime. No discounts. A is for badgeholders with an A printed on their badge & reserved seat ticket holders. Line B is for all other ticket holders. Please do not sit in a reserved seat unless it has been arranged for you. Outside food and beverages are not permitted. Seat saving is not permitted. Digital devices must be turned off prior to the program introduction. DocLands is excited to partner with the Marin Center for Independent Living (MCIL) to continually improve our efforts to ensure you have access to all Festival amenities. Please ask on-site staff for assistance with early seating and/or assisted listening devices. If you require effective communication in the form of an ASL interpreter, please contact us at doclands@cafilm.org at least 10 days prior to the screening you will be attending. We welcome and encourage your feedback. For any accessibility-related questions and/or additional needs, please email doclands@cafilm.org. and its representatives may photograph, film, and/or otherwise record attendees at all Festival activities. 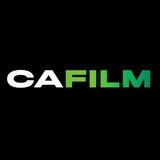 By attending, you consent to such photography, filming, and/or recording and to any use in any and all media throughout the universe in perpetuity and without compensation for the use of your appearance, voice, and name for promotional and/ or advertising or any other purpose by California Film Institute and its affiliates and representatives. MAKE A MOVIE, CHANGE THE WORLD? Sunday, May 5, 12:30–2:00pm | MARK FISHKIN ROOM @ Smith Rafael Film Center FREE (ticket required) Are you a storyteller or a documentary filmmaker? For a film to have impact, it must have a story—and the audience must connect with the story profoundly. For a film to have real social impact, it must expand our understanding, change our perspective, and challenge us to do something. Done right, film can be one of the most powerful tools available to manifest these connections with an audience, who can then help change the world. What elements can you use to create a connection with the audience? How do you encourage an audience to take action? Do you know in development if your film can make a difference? How important is it to join forces with an ‘impact partner?’ What constitutes an impact partner? Join us for coffee, bagels, and conversation with visiting and local filmmakers as they share strategies for connecting with a powerful purpose. ART OF IMPACT engages and sparks action by sharing stories that open our eyes to the global community and its disparate cultures, politics, personal narratives, and biographies. BREAKING FORM are films that expand the traditional definition of documentary form in terms of creativity and entertainment. THE GREAT OUTDOORS transports us outside to truly appreciate, explore, and ultimately compel us to save and conserve our environment and the wilds of our one precious and precarious planet. WONDERLANDS lifts our spirits through stories of joy, wonder, and possibility. and the provocative insights behind them to Marin County, California. Expanding upon the exchange of ideas and inspiration through public screenings, engaged conversations, and grassroots networking events, DocLands aims to build an active, involved, fully supportive community around documentary film, dedicated to initiating connections and partnerships that will illuminate and invigorate the business and art of non-fiction filmmaking. Films marked with this logo are part of CFI’s gender equity initiative, Mind the Gap, launched at the 2015 Mill Valley Film Festival. CFI is dedicated to actively working towards closing the gender gap in Hollywood and the rest of the global film industry. The Mr. Jimmy band assembles the top Zeppelin tribute masters for touring—and for the very first time in Marin, Mr. Jimmy will perform with August Young (of the Aviators) on vocals. Be ready to be absolutely blown away by the passion and energy that Mr. Jimmy channels to venerate Led Zeppelin legend Jimmy Page. ADDITIONAL SCREENING Fri May 3, 9:15pm | SMITH RAFAEL (regular ticket prices apply) Mr. Jimmy will play a brief acoustic set during the Q&A. US 2019, 84 min Director PETE MCBRIDE National Geographic photographer Pete McBride and writer Kevin Fedarko, veterans of dangerous journalism, hike the length of the Grand Canyon. Pushed to the edge of survival, they embark on the over-700-mile journey, letting the wilderness and their instinct be the guides. Immersed in unrelenting beauty, they find humility, reflective silence, and true partnership with each other and the canyon itself. Into the Canyon highlights the constant tension between developers out to monetize beauty, uranium ore miners polluting the waters, and Navajo and Havasupai defenders of the sacred ancestral land and water. During the 100th Anniversary of the Grand Canyon National Park, this powerful film asks what we want our National Parks to be and lets the canyon intimately share its grandeur, power, and indomitable spirit. A must for the big screen. An ASL interpreter will be present to interpret both the introduction and post-screening Q&A. Closed caption devices will be available. The Active Cinema Room features interactive exhibits and hands-on demonstrations by local and regional environmental organizations, offering a variety of resources for students to engage directly with the issues they’ve learned about onscreen—from a mobile climate science lab to a multimedia installation on subway systems to the latest in cargo bikes!